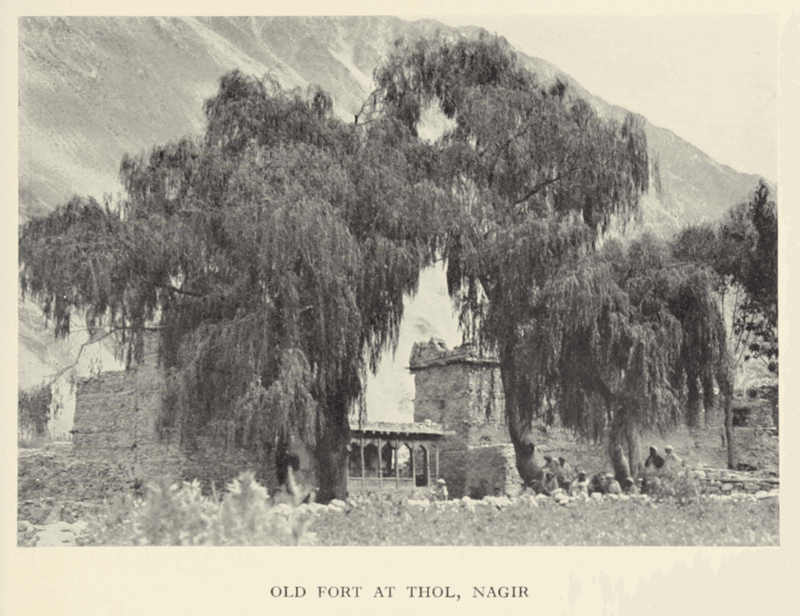 Written by Colonel R. C. F. Schomberg and published in 1935, Between the Oxus and the Indus is an account based on several travels in the Gilgit region made by the author during a period of eight years. 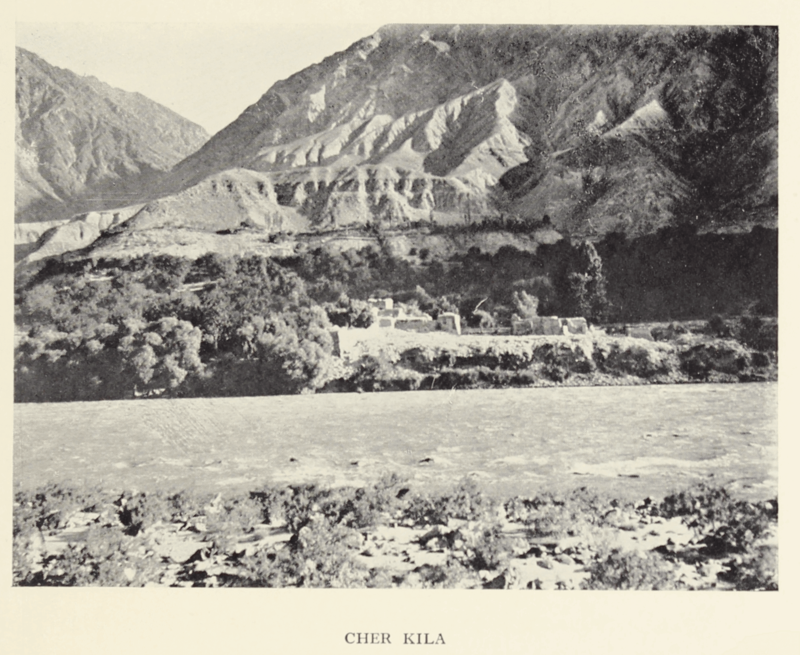 The territory between the Oxus River and the Indus River, called the Gilgit Agency, was at the time under British rule and administered by officials appointed by the Maharaja of Kashmir. A map of the area can be found in the appendix noted above. 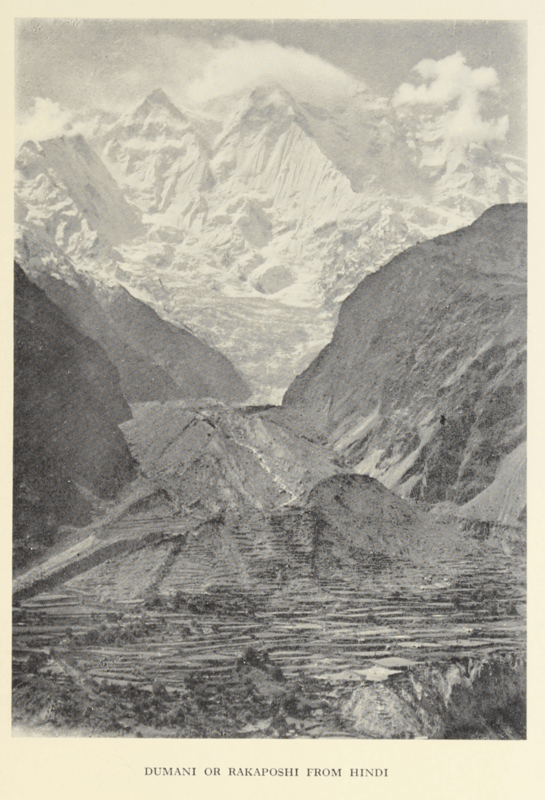 Schomberg gives a general overview of the whole of the Gilgit district as regards both geography and people. He pays attention to local traditions and offers detailed accounts of folklore, marriage customs, heritage laws, as well as annual festivals and ceremonies. 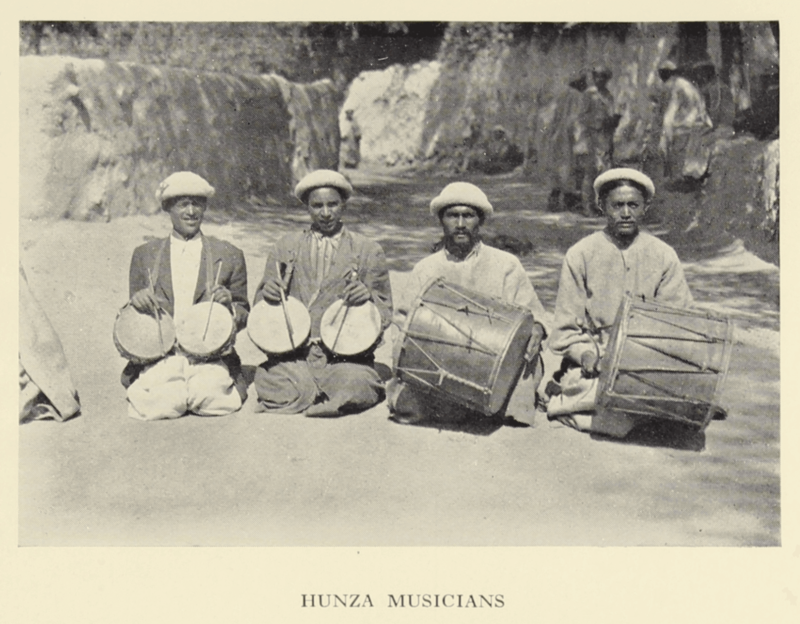 Comprehensive historical accounts of the two states of Hunza and Nagir are presented including the origin of these states and the succession of Mirs, Khans and Wazirs. 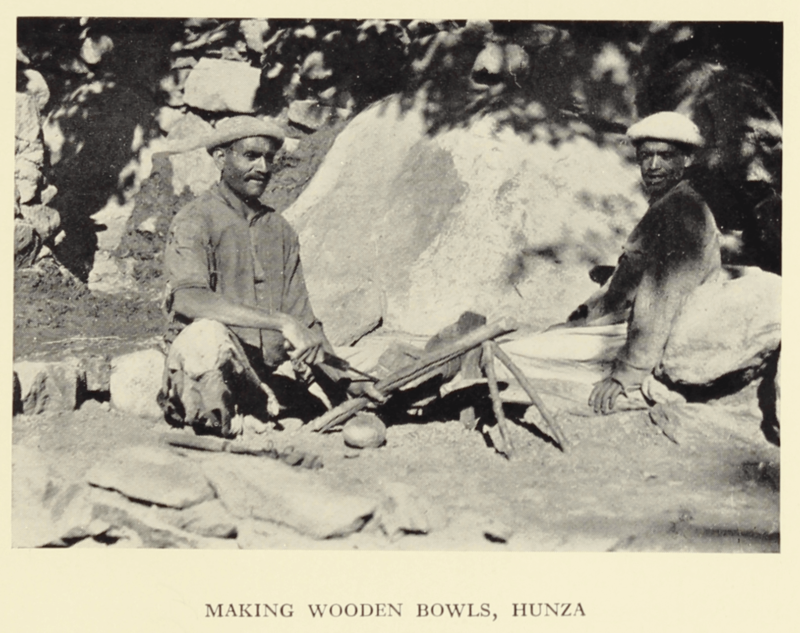 Comparing the State of Hunza with the State of Nagir, Schomberg clearly favors Hunza, which he often describes in greater detail and with more positive comments than Nagir. 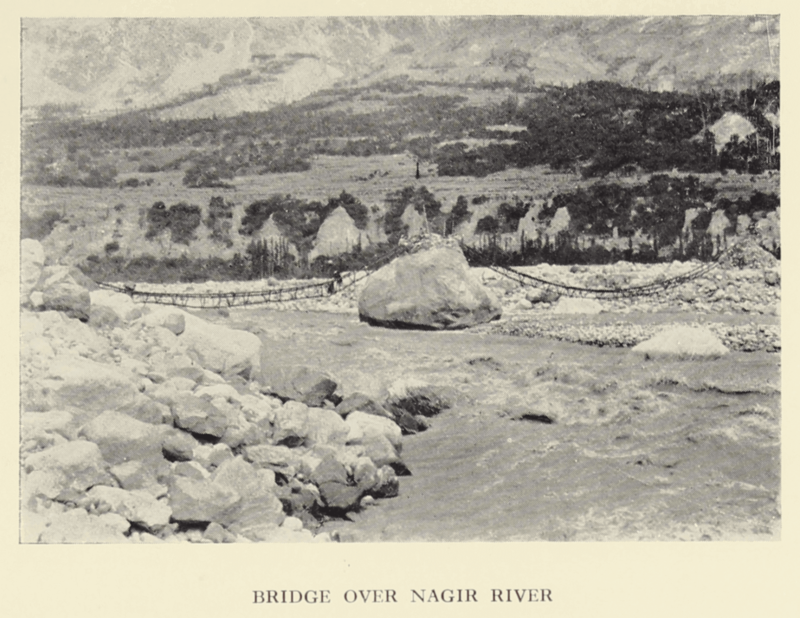 The Hunza-Nagir war in 1891 is given due attention because of to its decisive role in the formation of the Gilgit Agency, whereby Hunza and Nagir avoided the risk of becoming a part of Russian Asia. 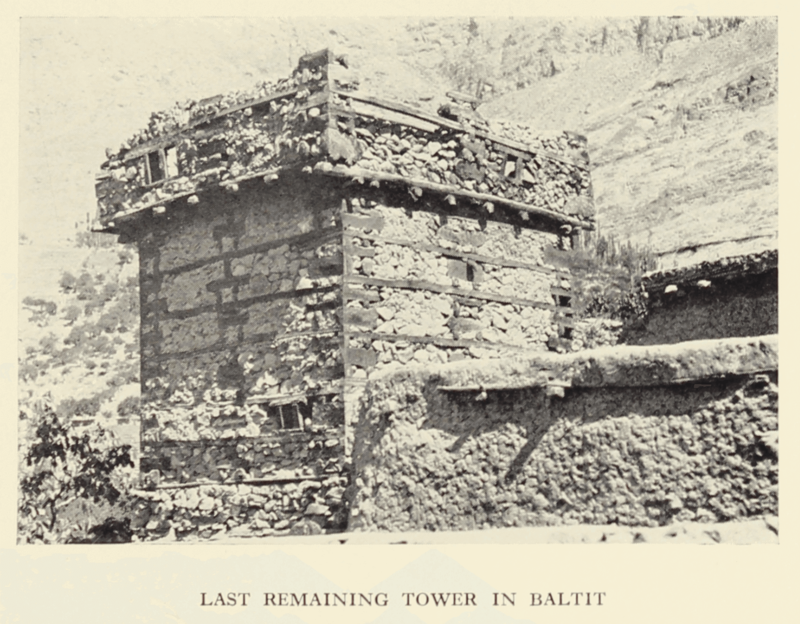 The history of Gilgit, Yasin, Punyal and Ishkoman is elaborated further in three appendices at the end of the volume. 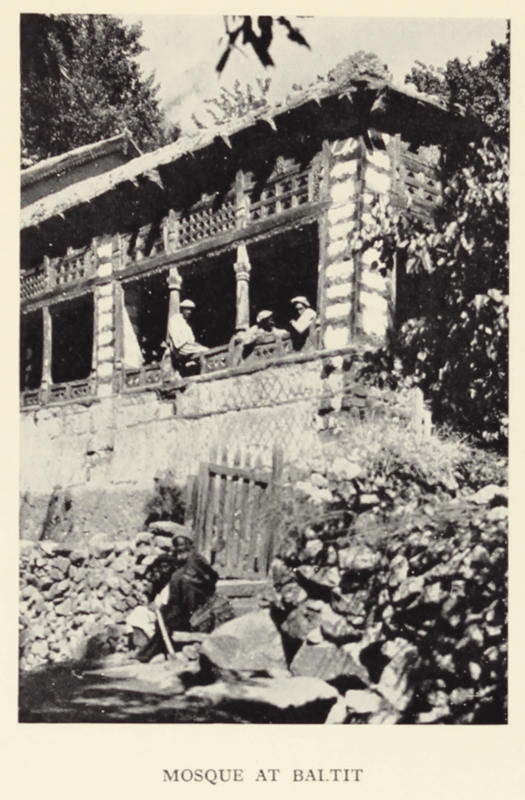 Passing through the valley of the Gilgit River and leaving Kashmir territory, Schomberg and his traveling companions enter Punyal, a state of the Gilgit Agency, where they are received by the Raja of Punyal, Anwar Khan. Carrying on to the district of Kuh, they are shown ancient stones that according to a legend used to be dragons pestering the town for generations until a great man cast a spell on them and turned them into stones. 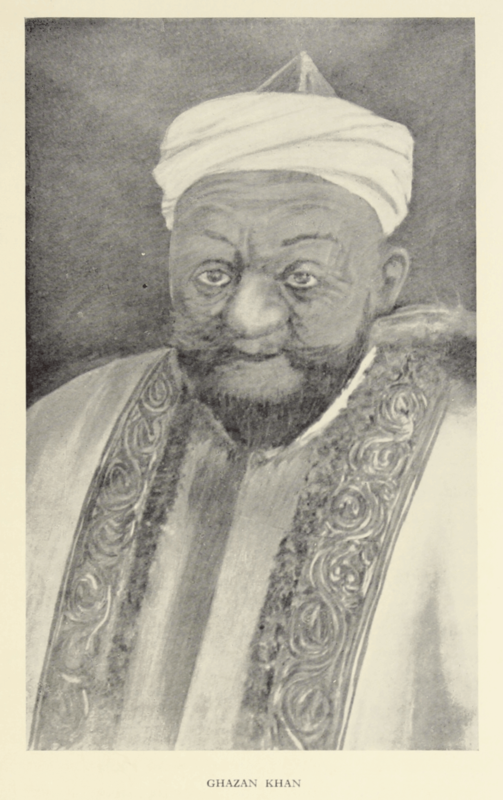 At the village of Darkot, the Governor of Yasin, Raja Abdur Rahman Khan becomes their host. Together they watch a performance with men twirling like dervishes accompanied by singing, first in Persian and Chitrali, and later in the local language, Burushashki. 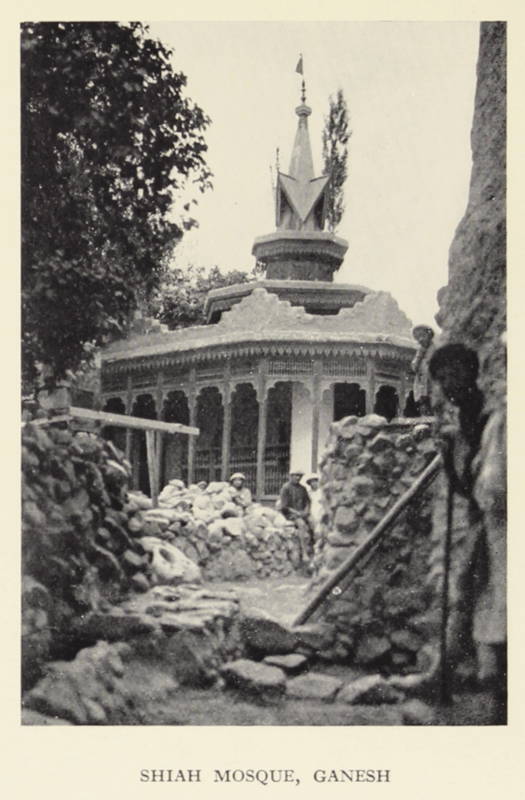 Passing through the Thui valley, Schomberg and his team continue to the State of Ishkoman, where they meet the son of the Raja of Ishkoman, Mir Ahmed Khan. At the capital of Nagir, they are acquainted with Shah Sikandar Khan, Mir of Nagir, who is said to be the descendent of Alexander the Great. The author notes that the Mir’s profile is just like the profile on a Greek coin. 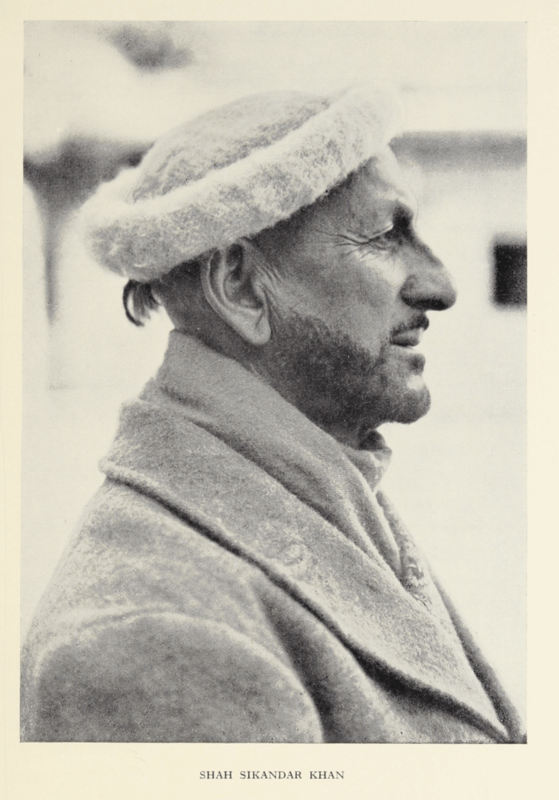 A photograph of Shah Sikandar Khan in profile can be found next to page 106. 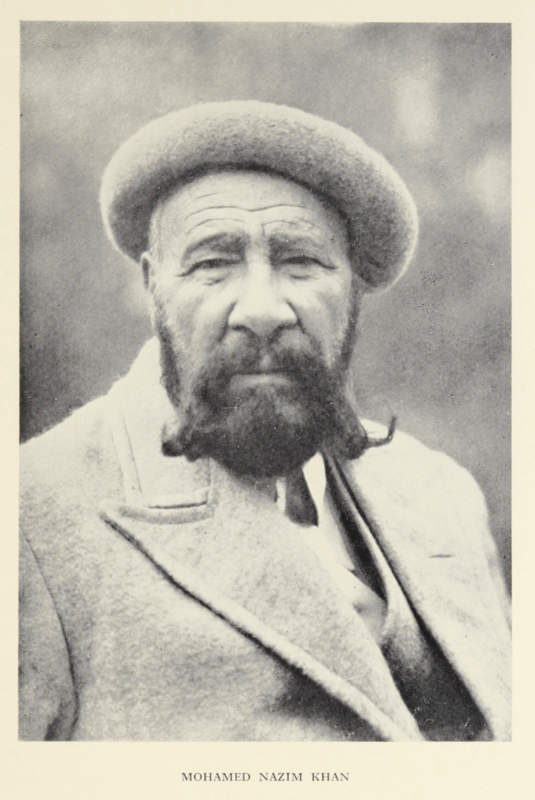 Schomberg meets the Mir of Hunza, Mahomed Nazim Khan on several occasions and describes him as “the outstanding personality of the Gilgit Agency” (p.114). 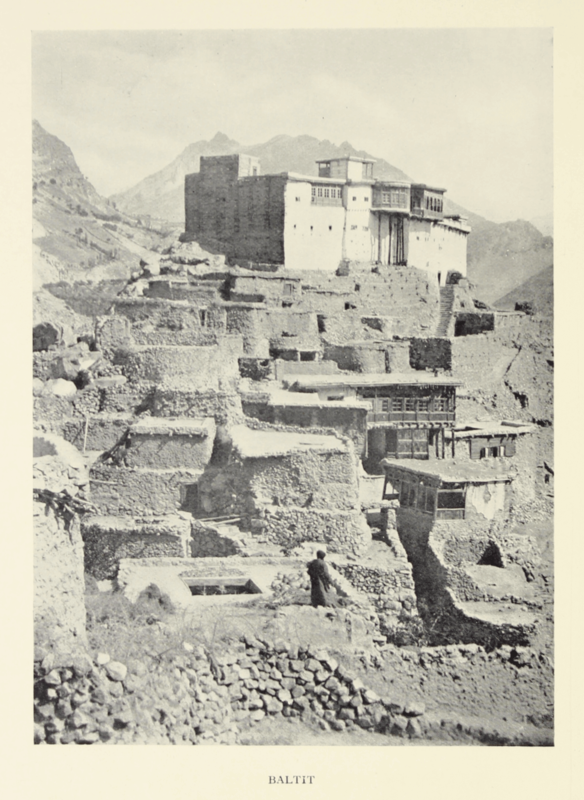 A photograph of the Mir of Hunza can be found next to page 114. 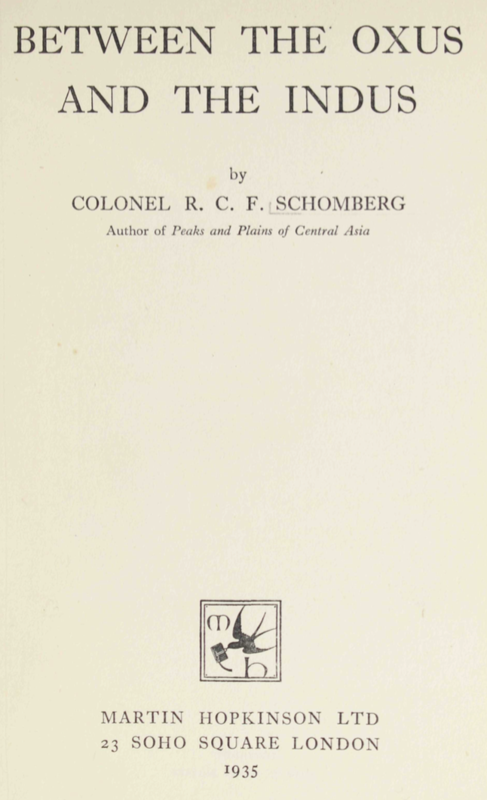 Besides personal accounts of environments and experiences, Schomberg writes about the thoughts and feelings of his servants, people they encounter and other temporary travel companions. 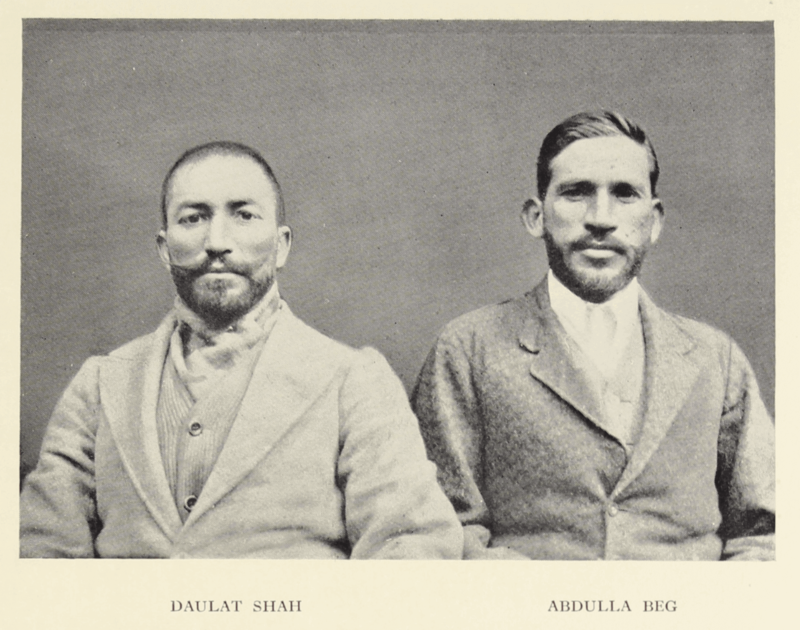 On several of his travels Schomberg was accompanied by two men from Hunza, Daulat Shah and Abdulla Beg, and two men from Kashmir, Aziza Rathar and Abdulla Rathar, the latter of whom was renamed Subhana, “a fashionable Kashmiri name” (p. 25), since they already had one Abdulla on the crew. 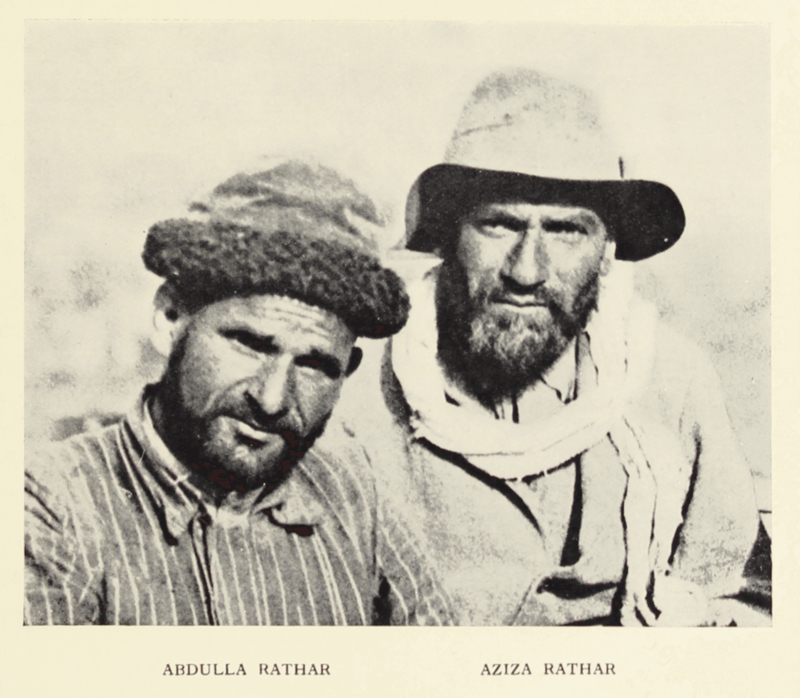 Close-up photographs of these men looking straight into the camera can be found after page 26. Schomberg’s tone in representing the feelings of others in both writing and photography, gives us an indication of his willingness to understand the other, within the parameters of his own limits. 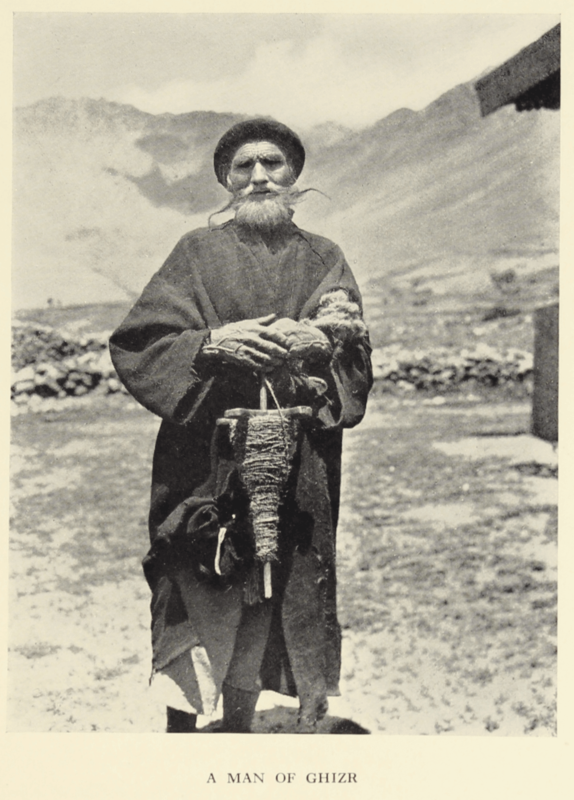 Many other comments about the people of the region can be unsympathetic and degrading, such as the following about the people of Ishkoman: “The more I saw of the inhabitants of Ishkoman, the more was I struck by their degeneracy; they were poor in physique and lacking in brains; a strange type of mountaineer!” (p. 79). An inscription on an empty page before the title page of the book reads: Pauline J. Kenauoilly, December 26th, 1945. 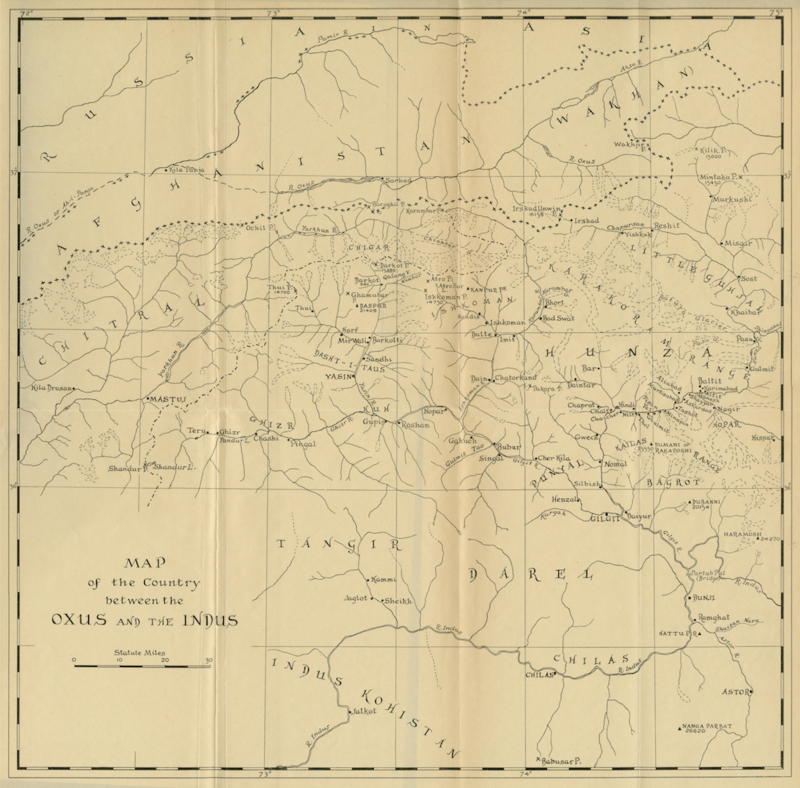 Map of the Country between the Oxus and the Indus. Visit the maps section.